Jennifer Gehl brings her years of experience to life as a teacher, practitioner, and writer to provide each and every one of her clients with a personal experience designed not only to heal, but to encourage growth and new beginnings. Her combination of Astrology and Acutonics capitalizes on the power of sound and wisdom of the cosmos to deliver Astro-Sound Attunements, allowing individuals both in person and at a distance to align with Divine Mind. Join our email list to receive the latest blogs, updates, and upcoming events from Sound Works! The new paradigm is here. Jennifer Gehl not only gives an accurate view of where we are but also of how we got here. Her review of the earliest healing modalities and healers stands as a gem itself, a veritable Cliff Notes of the classics and obscure alike. We are introduced to the science of vibration, sound, and energy and their relationship to healing in a way that’s accessible to the layperson but full of substance for health and wellness veterans. After all, it’s an energetic universe! Concepts such as sacred geometry (which should be taught to every student) reflect the fact that matter is condensed energy and always follows the implicate order of energy patterns underlying everything in the universe. As you follow the narrative that Gehl skillfully weaves, it is easy to comprehend that we live in an energetic universe and that there are rules to it that we haven’t been taught. Any person with an ounce of curiosity has to be chomping at the bit. “As above, so below” the saying goes. If we look around us, we can see that the universe is constantly sending us signals once we learn how to look and listen. 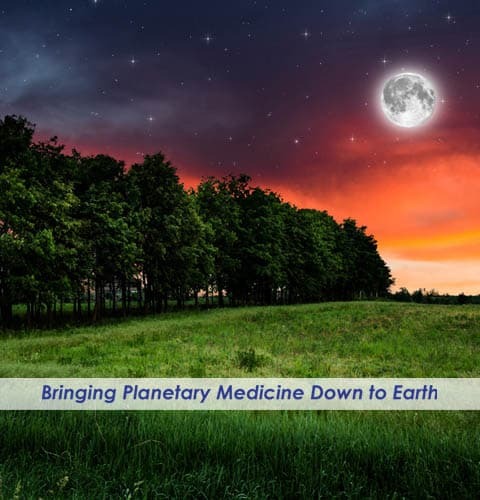 In Planetary Signatures, Jennifer Gehl invites us to consider the possibility that we haven’t heard the whole story regarding health and that taking the journey to understand a new, more comprehensive worldview is not only delightfully entertaining, but yields us our biscuit at the end: new modalities using this information to achieve balance and healing in our energetic universe!~Steve McNeal, D.C.
“ love your book. It is a great read, well done, andI will use it a lot. Thank you for a great work. ~M. Streiff, North Carolina.